millions of dollars for our clients! Accident victims face daunting challenges when they are seeking to put their lives back together after suffering serious injuries. It is important for them to enlist a knowledgeable attorney to advocate for their right to compensation from those who have harmed them. 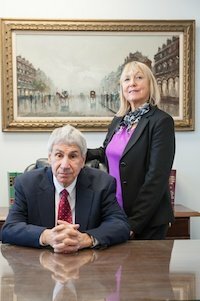 Dedicated to representing defendants and victims in Chicago and nationwide, personal injury lawyer and criminal law attorney Joel Gould has accumulated over 30 years of legal experience and success. He has personally handled over 1,000 cases and more than 400 trials. He is ready to provide the compassionate and comprehensive representation that you need, having secured millions of dollars in compensation for his clients and their families in personal injury, medical malpractice, and workers’ compensation cases. Joel Gould works closely with some of the top personal injury trial attorneys in Illinois - and from around the country - to provide clients with a legal team that has a proven record of success. Named one of "the top 1% of attorneys nationwide" by the National League of Renowned Attorneys (NLRA). Named one of the "Premier 100 Trial Attorneys for the State of Illinois" by The American Academy of Trial Attorneys.  Named one of the “Top 100 Criminal Defense Trial Lawyers” by The National Trial Lawyers. Named one of the “Top 100 DUI Attorneys in the State of Illinois” by The National Advocacy for DUI Defense. Named "10 Best Attorneys for Client Satisfaction in 2017" by the American Institute of DUI/DWI Attorneys. In a criminal case, the State has the burden of proving that the defendant is guilty beyond a reasonable doubt. This means that the prosecution must provide evidence of each and every element of the crime with which the defendant is charged. For instance, in a driving under the influence (DUI) case prosecuted under Illinois law, the State must prove that the defendant operated a motor vehicle while impaired by alcohol, cannabis, or drugs. A defendant has a right to cross-examine the State’s witnesses and offer evidence to rebut the State’s case, and a defendant also has a constitutional right to refrain from incriminating him or herself. In addition to this protection in the Fifth Amendment, defendants have many other constitutional safeguards. An example is the Fourth Amendment’s prohibition of searches and seizures in most situations when law enforcement lacks probable cause. The complex double jeopardy rule also prevents a defendant from being tried twice on the same charge, and the Sixth Amendment guarantees the right to a speedy trial. In a personal injury lawsuit, such as a case arising from a car accident, an act of medical malpractice, or a defective product, the plaintiff has the burden of proving his or her case by a preponderance of the evidence. This means that, more likely than not, the plaintiff’s version of the events is accurate. Most personal injury cases are based on the theory of negligence. This means that the plaintiff must show that the defendant violated a duty of care and that the plaintiff suffered injuries and damages as a direct result. If a claim is successful, the plaintiff may receive compensation for past and future medical expenses, lost wages, and pain and suffering, among other forms of damages. Unfortunately, many devastating accidents occur on the job. When this happens, a victim’s exclusive remedy generally is through the state workers’ compensation system. In a workers’ compensation claim, an injured employee does not need to prove that his or her employer was negligent in causing the harm. Instead, he or she is required to show that the injury or occupational illness arose during the course and scope of the employment relationship. A successful workers’ compensation claimant may receive payment for temporary total disability, permanent disability, and medical expenses. If you are pursuing a personal injury claim or seeking guidance from a workers’ compensation attorney, you should not hesitate to call the Joel Gould Law Offices at (773) 281-8744 or contact us online. In legal matters, time is always of the essence. From their Chicago office, personal injury attorney Joel Gould and his team represent people throughout Cook County, as well as in DuPage, Lake, McHenry, Will, and Kane Counties. Our firm also can assist Illinois residents who need a criminal defense attorney to fight a wide range of charges. Mówimy po Polsku. We serve clients throughout Illinois including those in the following localities: Cook County including Arlington Heights, Chicago, Cicero, Des Plaines, Hoffman Estates, Mount Prospect, Orland Park, Palos Heights, Schaumburg, Skokie, and Tinley Park; DuPage County including Naperville and Wheaton; Kane County including Aurora, Elgin, and Geneva; Lake County including Buffalo Grove, Gurnee, and Waukegan; McHenry County including Crystal Lake and Woodstock; and Will County including Bolingbrook and Joliet.